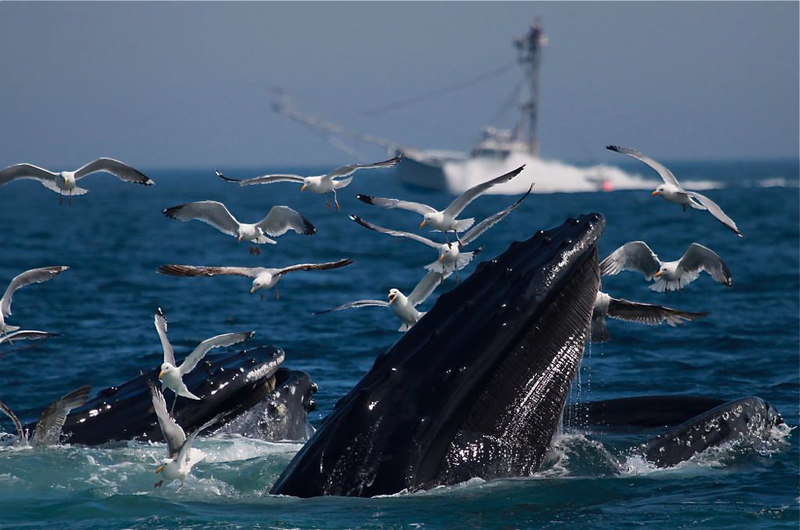 Our whale-watching, seal tours and fishing family fun trips are a perfect way to get out on the water and see “up close and personal” some of the majestic wildlife in our backyard. Humpbacks, finbacks and minke whales are a common sight in the summer and fall and can put on an awe-inspiring show when they’re feeding. Gray seals abound in the waters closer to shore and have been much in the press lately as their presence relates to the return of great white sharks to the area. Atlantic white-sided dolphins, sea turtles and sunfish are among the other species that we encounter. We’ll also see spectacular displays of feeding and diving seabirds such as petrels, shearwaters, gannets and terns. To book a tour, call us at 774.722.2223 or email outermostangling@gmail.com.